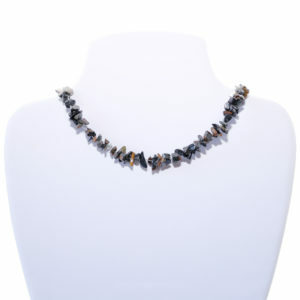 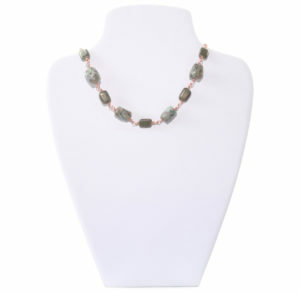 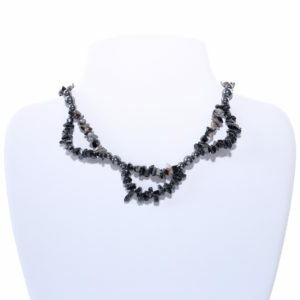 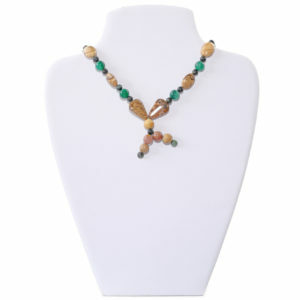 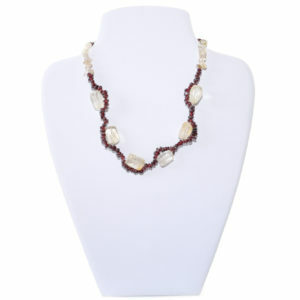 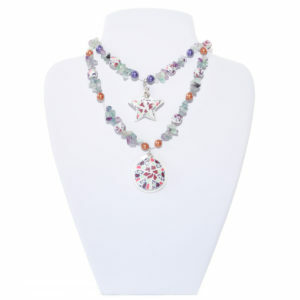 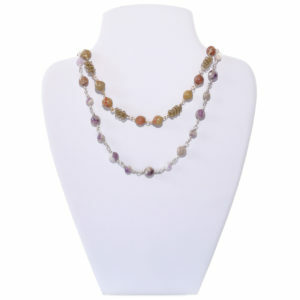 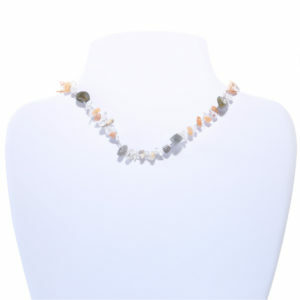 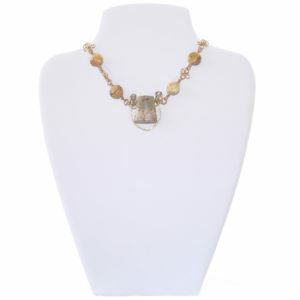 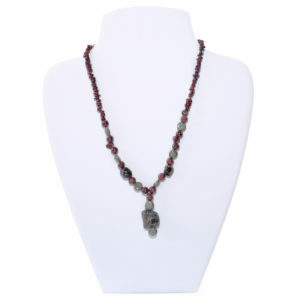 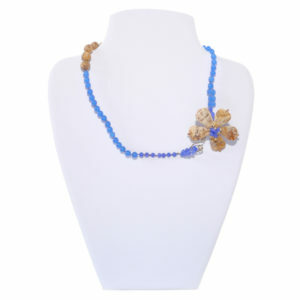 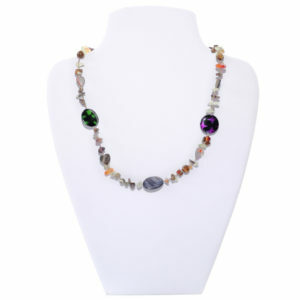 Cluster gemstone necklace of 17 inches (about 45cm). 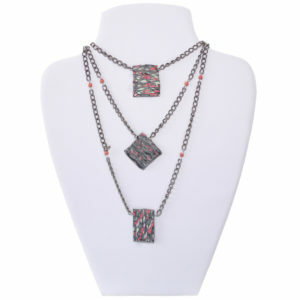 Brings a chunky style without the weight. 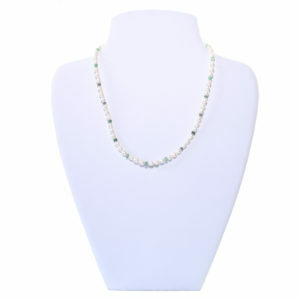 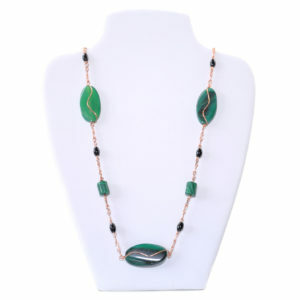 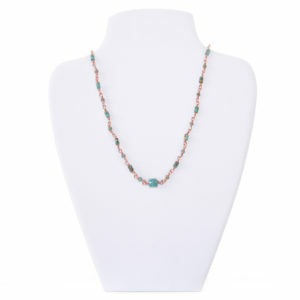 This necklace is made with amazonite, but is also available in amethyst, amethyst and peridot, labadorite, white quartz and fancy agate. 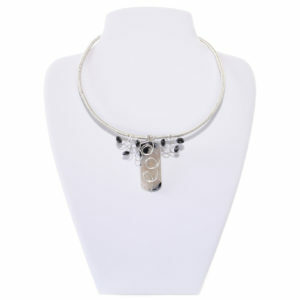 Made on silver plated copper and all yours for only £40. 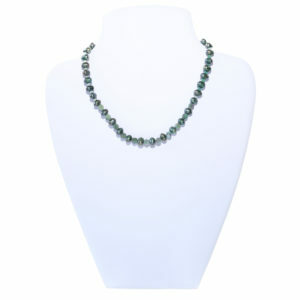 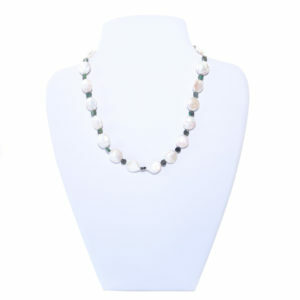 When you want to wear pearls but have a modern look, this sterling silver pearl and emerald coin necklace is just for you. 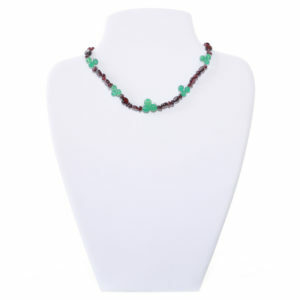 How often can you own so much emerald for £60? 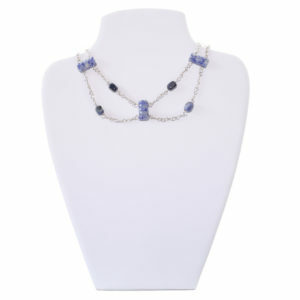 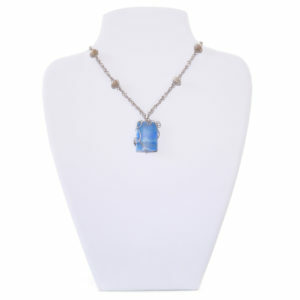 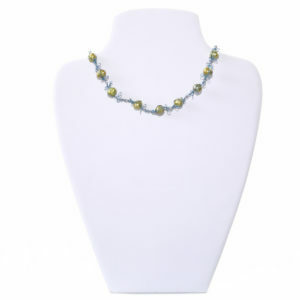 Tanzanite nestle between the purple/blue pearl hues of this sterling silver 17 inch/45cm necklace. 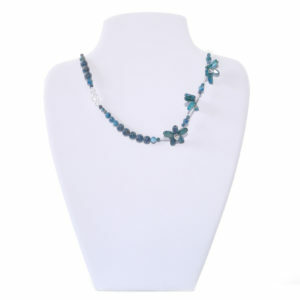 How can you resist all this for £60? 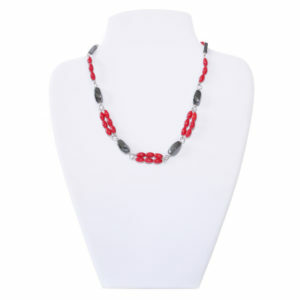 Looking for something simple but stylish? 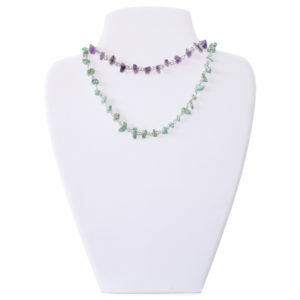 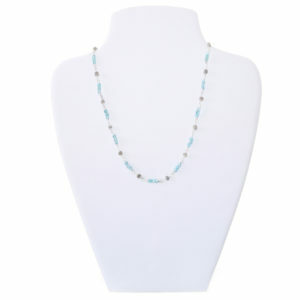 Shown here is an amethyst and a turquoise rosary link necklace on silver plated copper, for only £20. 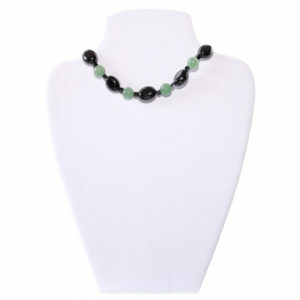 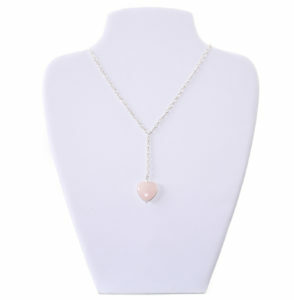 If you would like something different, such as white quartz, green aventurine or tiger’s eye, just get in touch! 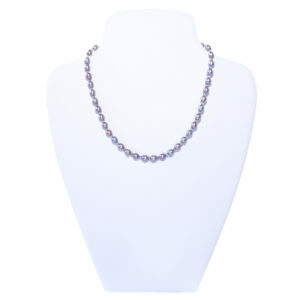 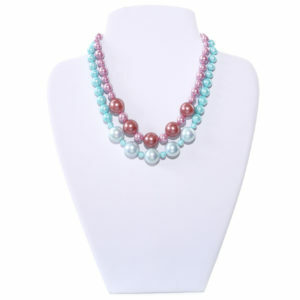 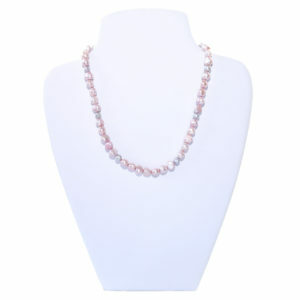 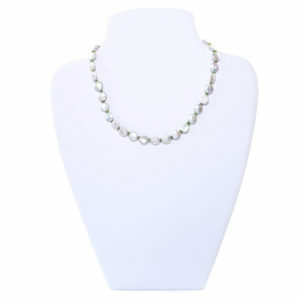 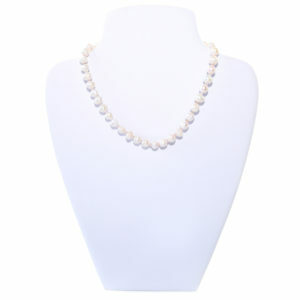 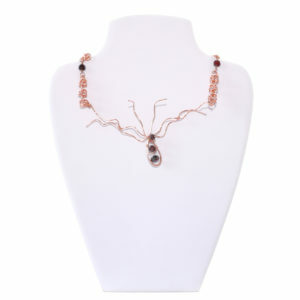 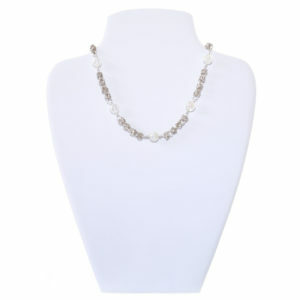 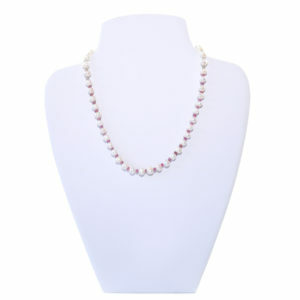 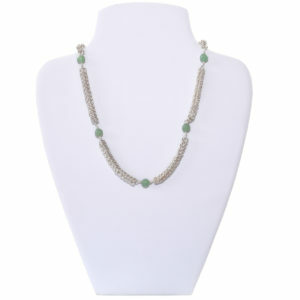 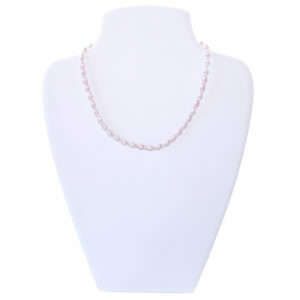 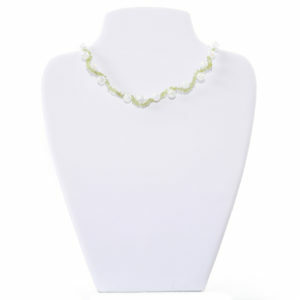 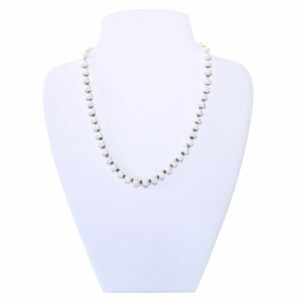 pearls are often set on knots or thread, but here these freshwater pearls are woven into wire for a contemporary look. 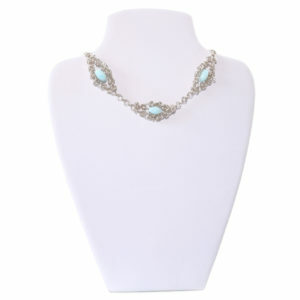 This 16 inch/40cm choker is only £20, so get in while you can! 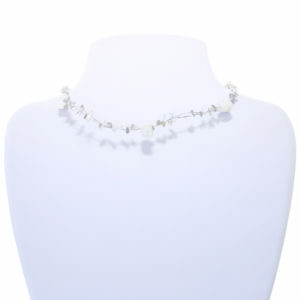 This musical sterling silver necklace appears monochrome, but is set the way of a piano keyboard layout, for a suble quirkiness, a real style of the creator of all Sunago pieces. 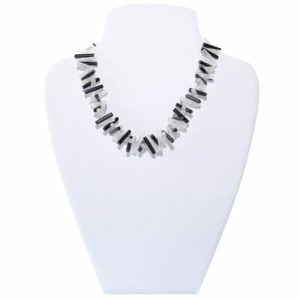 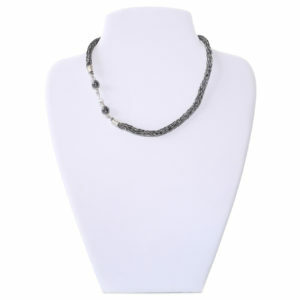 16 inch/40cm of glamour for £30, created from white quartz and black onyx.